Kingsford® Original Charcoal has been the gold standard of barbecuing for nearly 100 years. Each briquet is made with natural ingredients and real wood, resulting in the authentic smoky flavor that barbecue lovers crave. 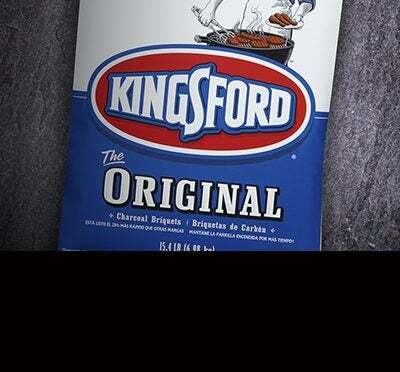 Kingsford continues to improve its charcoal. The newest briquets still feature our signature Sure Fire Grooves®, which help the coals light faster than ever before, while still burning as hot and long as ever. Available in two sizes; 3.49kg and 6.98kg bags.